Mr. 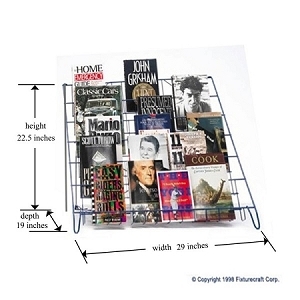 Popularity Wire Counter Display Rack is a durably constructed heavy gauge wire literature rack. Perfect for larger books and thicker literature 2 1/2 Deep Shelves, also perfect for crafts that need to be seen upright (not flat on a table top). A completely portable display. This Countertop wire display comes fully assembled and ready to use. Perfect for craft shows. Mr. Popularity is our best selling wire tabletop display for hardcover books. If you are looking for more shelf depth 2 1/2" in a tabletop literature rack, then Mr. Popularity Model C794 wire display is your choice. 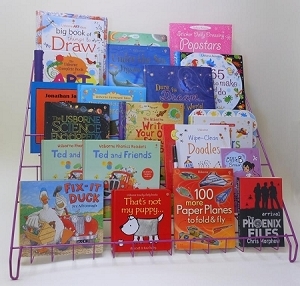 Model C794 wire rack not only holds hardcover books but will hold soft cover books as well. Mr. Popularity will also hold CDs, puzzles, crafts, games or toys on this sturdy wire display. 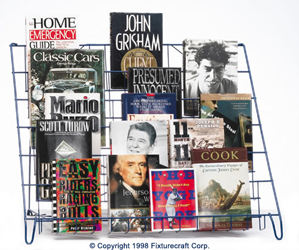 These wire rack and literature organizers promote and organize and increase product visibility for your customers. These economical tabletop displays show off your special collections. Racks collapse for easy storage. 6-tier displays organize all your product. Counter top racks are portable for easy storage. Love, Love, Love Mr Popularity. This rack is perfect for all my books and comes in the color purple. Perfect! The rack holds a ton of books and it's so easy to transport. I purchased the Ms Popularity a few years back and while that rack is really a nice display, the Mr Popularity holds so much more. Love the rack! 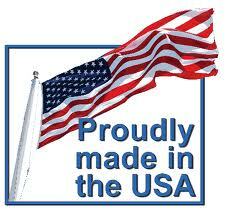 It fits several small books layered or our large thick books on the shelves without any problem! Folds up and fits nicely for travel. And the color is perfect! Great product. Easy to ship.